The pros and cons so you can decide for yourself. This is a guest post by Frankie Eybsen. If you’d also like to guest post here on JobMob, follow these guest post guidelines. Professional recruiters make a living finding the perfect match: They help employers find the best employees, and they assist job seekers, when possible, in their job search to find the position that best matches their skills, experience, and salary requirements. Are professional recruiters your friend or your foe? Let’s consider the advantages and disadvantages of the professional recruiter, so you can decide for yourself. A professional recruiter can make the process of finding a job – or at the very least, of landing interviews – much easier. Recruiters have an extensive network of contacts and they know where the jobs are. Employers may choose not to advertise job openings, opting instead to hire a professional recruiter. That means you may have access to unadvertised jobs, jobs about which the general public is unaware. Professional recruiters are paid by their clients – the employers – which means you don’t have to pay anything. If you’re asked to pay, find another professional recruiter. The professional recruiter is the employer’s client, so asking a job seeker to pay would present a conflict of interest. Once a professional recruiter sets you up with an interview, she will likely help you prepare for that interview by going over what to expect, what the company is looking for, and by telling you a little bit about the company. The interview preparation, whether brief or in-depth, can help you at the interview, giving you a better shot of landing the job. Professional recruiters aren’t always easy to get in touch with unless, of course, you have the qualifications for which they are looking at that moment. You may have to do a lot of legwork to find a professional recruiter who is willing to work with you. If you do not fit the criteria for open positions the recruiter currently has, you may not hear from him or her for quite some time, if at all. Ultimately, a professional recruiter’s job is to find the best candidate for the employer. Their primary goal is to find the best candidate for their client’s open position. Helping you gain employment, as a result, is always going to be secondary to that. In a typical recruitment firm, a candidate can only work with one recruiter at a time. If you are already in the running for a job and another position comes along, you generally cannot be considered for it. That means you’re better off finding several professional recruiters with whom to work during your job search. So- professional recruiter: friend or foe? Professional recruiters certainly can provide you with advantages that you won’t have if you search on your own, but you have to remember their primary goal is to assist the employer. Certainly consider using a professional recruiter as one component of your job search, but don’t count on them to find you a job. Make sure you’re also working to find a job on your own. Frankie Eybsen is a career blogging and marketing manager at ResumeBucket. His latest project is creating the largest resume samples collection on the internet. If you liked this article, check out An Open Letter to the Recruiters of the World From Job Seekers Everywhere. I used to work in recruitment so I was interested to read your pros and cons of working with a recruiter. To me the biggest pros should be that they can help you prepare for interviews and share information regarding a job that you wouldn’t have otherwise known about before the interview i.e. what hot buttons is the hiring manager looking for? What mistakes have previous interview candidates made? What is the salary range? Stuff like that. The cons are that as time goes on, it’s easier for people to find other people so the old role that recruiters used to provide – introducing Company A to Candidate A – isn’t as big a deal as it used to be. 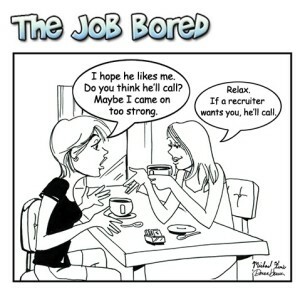 Plus there are a lot of crappy recruiters out there. Nice article. To the point. Recruiters are good exactly for what you wrote about, get into that position they focus you into. In many companies, the only way to get in is through recruiters. They are the front filter for most jobs. So just go with as many as you can and one of them will pan out. Usually, they are going to go to represent you with more focus than most people on their own. Today’s technology gives you access to many recruiters at once. If you spend a little time contacting recruiters and get them to see where you fit in. I think another important point that should be made is that you really do want a recruiter that specializes in “your market or industry” for the best representation. If you don’t already have a relationship established with a recruiter in your industry, a good way to find one is to ask others in your business. Find out if they have been in communication with a recruiter that they believe understands your industry. Usually, a handful of names will keep surfacing. Once you have the names, take a proactive approach and reach out to them. I have never gotten a job through a recruiter, even when I was freelancing for a recruiter the job came through a personal business contact.